IT professionals and developers can finally get their hands on Office 2016. 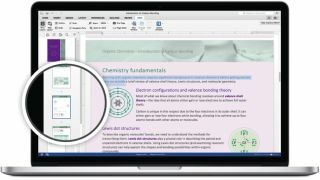 Microsoft has opened up the IT Pro and Developer Preview of the next version of Office and it is encouraging developers to begin experimenting. Starting today, Office 365 commercial customers will be able to download the IT Pro and Developer Preview of Office 2016, and with it a range of new features. Data Loss Protection has finally arrived in Word, Excel and PowerPoint in order to allow IT admins to centrally create, manage and enforce various content authoring and document sharing options. Microsoft has also delivered a number of improvements to Outlook such as a new MAPI-HTTP protocol, the elimination of foreground network calls, implementation of multi-factor authentication, improved email delivery performance, a leaner storage footprint by only retaining mail for a certain period on a device, and improved search. IT admins using Office 365 subscriptions get new click-to-run deployment features including Background Intelligence Transfer Service to manage network congestion, System Center Configuration Manager to allow more efficient Office updates, flexible update management, and simplified activation management. Finally there are also improvements to accessibility for keyboards when it comes to various features in Excel and Outlook, and Information Rights Management protection now includes Visio files. To become a part of the IT Pro and Developer Preview of Office 2016 program simply visit this link and follow the instructions on how to install each application, with the full release expected to be later on this year.